The Nike LeBron 13 Low Summer Pack joins the Nike Kyrie 2, KD 9 and the Kobe 11 as part of the Nike Basketball Summer Pack. The pack celebrates the end of the summer season. This Nike LeBron 13 Low was first released at LeBron James’ UNKNWN store, and now they’ll receive a wider release. Dressed in a Stealth Grey, White, Bright Crimson, and Gum Light Brown color scheme. The shoe features a heathered upper that sits atop a Gum sole like the other models from the Summer Pack. Look for the Nike LeBron 13 Low “Summer Pack” to release on August 31st, 2016 at select Nike Basketball retail stores. The retail price tag is set at $150 USD. 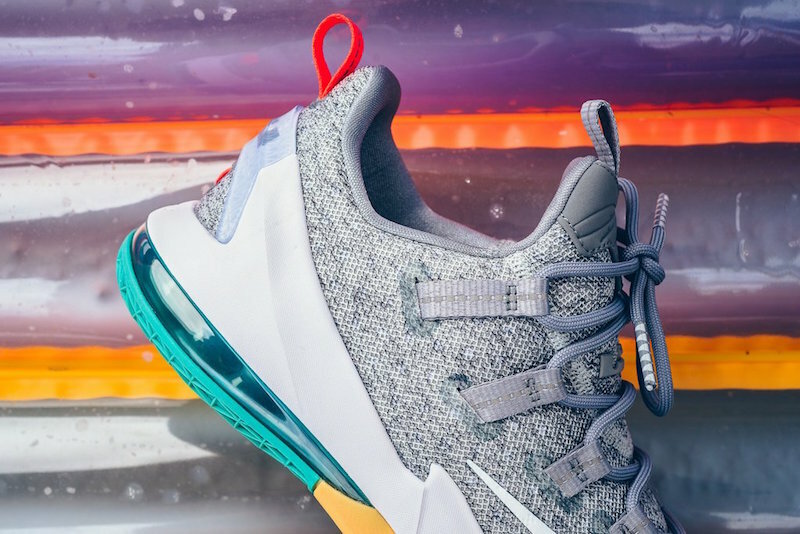 UPDATE: Get a closer look at the Nike LeBron 13 Low “Summer Pack” that debuts on August 31st to select retailers like Sneaker Politics.